The board is set, the pieces are moving. Buoyed by the initial success of the VMware Cloud on AWS service, the virtualization giant has kicked off internal expansion of the service. VMware reported good numbers last quarter, in a clear sign that its blockbuster partnership with Amazon Web Services is starting to pay off. And central to this success is this hybrid cloud service, designed for a hybrid world. Launched some six months back, the service allowed VMware customers to run their workloads on the Amazon public cloud using the same VMware software stack. In November the company added a few new features and made the service available all across the United States. Marking its first expansion beyond the US shores, VMware Cloud on AWS has now been made available in the London region. Frankfurt is coming soon and so is Asia Pacific in the second half of 2018. New capabilities have been announced today as well, for this joint Amazon and VMware service. The highlight addition being Structured Clusters for VMware Cloud on AWS that lets users run AWS workloads on top of multiple AWS availability zones. This service is still in preview but is sure to help mission critical applications against datacenter and availability zone outages. Not to mention host and virtual machine failures rare as they may be in this day and age. Also enabled for customers are native VMware storage area network compression and duplication features, which have the potential to slash storage costs in half for typical workloads. In addition to all this, the two companies also announced new migration services. VMware vMotion already enabled live migrations of running VMs from one physical server to another with zero downtime. But now this has been extended to enable migration between on-premises and VMware Cloud on AWS, as well as between hosts across clusters within the service. 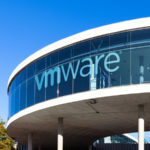 The additions are excellent and the expansion is welcome, showing that VMware was dead serious when it promised regular and substantive updates to its VMware Cloud on AWS service.